and a large and modern plant just outside of Taipei. We not only offer a wide range of hand tools for electrical and telecom applications, but also manufacture professional grade hydraulic products for the market. In addition, we are ISO 9001 certified, and comply with all CE, ISO 14001 and ISO QC 080000 standards. First Forever can work with you to develop tools that will meet your specific needs. We are capable of manufacturing to OEM and ODM specifications, and we currently sell our products worldwide. As our company expands, we continue to look for new partners and would like to learn moreabout your requirements, in the hopes of developing a working relationship between our companies. 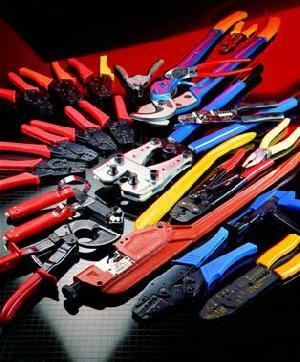 Let us be your source for high �quality, competitively priced hand and hydraulic products. Please contact us for more information on our products and prices. We look forward to your future correspondence, and hopefully to become your preferred supplier for many years to come. Company Name: First Forever Co., Ltd.